The Highland Employability project enables adults over 16, resident in Highland, who identify as disabled, experiencing exclusion or a carer, to learn. This project is focused on people who are unemployed or who are economically inactive. We can support learners one to one, often in their own homes. We also offer support to small groups at local accessible community venues. Our services are person centred and confidential. Adult Achievement Awards – SCQF levels 3, 4 and 6, where learners and volunteers can gain accreditation for learning undertaken in the community, work, home, college and in volunteering programmes. Getting Digital – support for people to develop the five basic digital skills, such as getting online, safety, digital agility, inclusion and enhanced connectedness. Community Action and Leadership Award – SCQF levels 3 and 5. A group-based personal development, confidence building and active citizenship course exclusive to Lead Scotland. You can contact Heather our local Learning Coordinator on 07741 902 566 or email hgordon@lead.org.uk with your details. 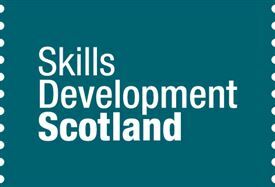 Lead Scotland’s Highland project gratefully recieves funding from the National Third Sector Fund (ESF) via Skills Development Scotland.